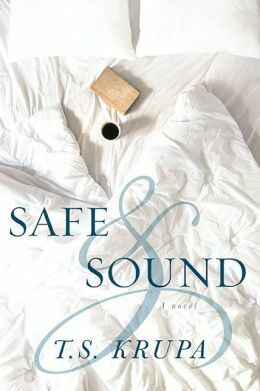 This book opens with the main character, Jill and her husband Jay Greenfield. Jay kisses his wife goodbye as he heads out for a run. Little did Jill know that this was the last kiss from her husband: the love of her life. Jill wakes up, wanders around the house and wonders why her husband has not returned home from his run. The phone rings, the doorbell rings and Jill gets news that will change her life forever. Jill suddenly finds herself a window. Jill and Jay have been married for only a few years and tragedy strikes. Jill, now a young window is faced with many decisions and changes and she never thought she would have to think of so soon in her marriage. Jill’s two childhood best friends come to the rescue and are Jill’s support system. The two friends guide Jill through the many decisions and life changes that she is now forced to face. The friendship of the three grows strong. The story of the three friends adds some humor to lighten up the book from time to time. Jill goes through the stages of grief and maybe down the road-will she possibly find love again? Read and see! Jill finds out things that she never knew about her husband. T.S Krupa-author of the book wrote a book that was hard to put down. Reading the book, you felt like you were right there with Jill and the other characters. She did a great job showing the stages of grief, decisions and changes that one faces as a widow. After Jay’s death, Jill wakes up without water because she never paid her water bill; financial matters were something her husband always took care. She realized that she had no clue about Jay’s financial system of paying the bills. In many marriages, one spouse does may do certain household responsibilities that the other has no clue about. What if one day, you were to find yourself a window because of an unexpected tragedy? Also this book makes you also realize the importance of making out of a will. The book makes you think about many things with a marriage that you take for gT.S,ranted and I found myself thinking if the unexpected tragedy strikes, what would I do? This book was a great read and a sure page turner!